Registered Democrats and Republicans came out in record numbers Tuesday in Putnam County and selected Donald Trump and Bernie Sanders as their Presidential candidates. While Hillary Clinton won the state’s Democratic Primary by a substantial … Please login below or purchase a subscription to the Putnam County Courier to access this content. 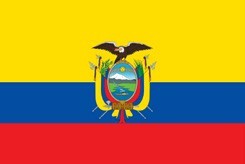 Gio Solarzano came to his dad the other evening after viewing the devastation in his parents’ homeland and asked: “Why can’t we help the people of Ecuador?” The 9-year-old fourth grader at the Kent Primary School was de… Please login below or purchase a subscription to the Putnam County Courier to access this content. The Putnam Legislature is expected to approve bonding an additional $1.1 million next month allowing for the completion of major renovations at the Tilly Foster Farm located off Route 312 in Southeast. During a nearly two hour long presentation Tues… Please login below or purchase a subscription to the Putnam County Courier to access this content. Groups of teens from schools throughout the county plant pinwheels Friday afternoon. 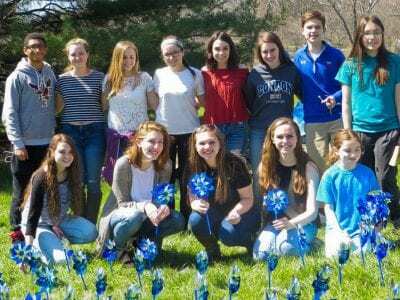 Five hundred pinwheels adorn the Putnam County seat this week thanks to the Pinwheel Campaign in conjunction with April being declared Child Abuse Awarene… Please login below or purchase a subscription to the Putnam County Courier to access this content. 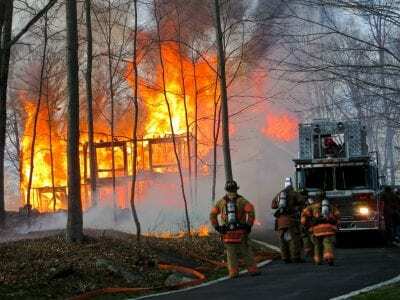 A number of brush fires in recent days have plagued area firefighters. The largest blackened a four acre tract of land in the Lake McGregor section of Mahopac Falls Monday despite efforts of firefighters from Mahopac Falls, Mahopac, Putnam Valley an… Please login below or purchase a subscription to the Putnam County Courier to access this content. It was a busy weekend for members of the Kent Police Department as officers removed three menaces from roads in the Lake Carmel- Kent Cliffs areas. Yeveniy Gorodetsky, 35, of Lynn, Mass. was arrested Sunday afternoon after police received a 9-1-1 ca… Please login below or purchase a subscription to the Putnam County Courier to access this content. 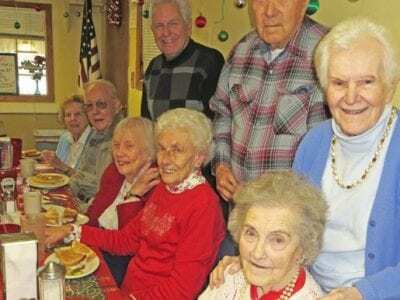 Natalie Townsend (standing) was the life of the party last Christmas when the Old Timers Club met to congratulate Adelaide Appel (seated) on the occasion of her 100th birthday. Natalie Townsend is being remembered this week for shaping the lives of t… Please login below or purchase a subscription to the Putnam County Courier to access this content. Seamstress volunteer Karen Guptill, who came all the way from Wisconsin, works with kindergartners Avery Caporale, Lucas LoMedico and Ari Rosenberg last week at Kent Elementary School. Kindergartners at Kent Elementary School are learning about givin… Please login below or purchase a subscription to the Putnam County Courier to access this content. Flames were visible over a wide area of eastern Putnam Sunday night when a fast-burning fire destroyed a home near the county line in New Fairfield. Officials said four members of the Neves family escaped unhurt when the blaze erupted around 9 p.m. … Please login below or purchase a subscription to the Putnam County Courier to access this content.